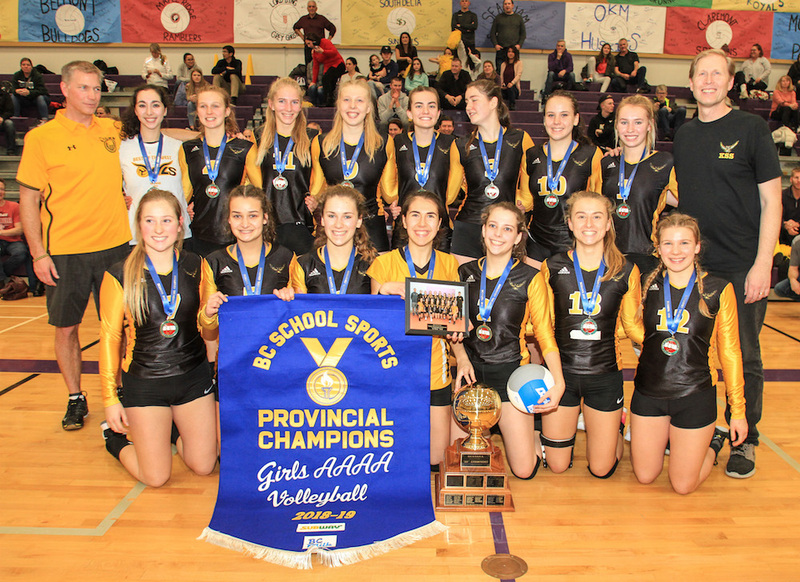 When you get right down to it, there could be no greater sign of respect for the accomplishments of the volleyball dynasty which had come to reside in our provincial capital the past two seasons-plus than the efforts of a determined opposition head coach. Kelly Hettinga had examined the schematics of Victoria’s Belmont Bulldogs all season long, from back to front, from left to right, from inside to out, looking for a weakness that might be exploited should his team be fortunate enough to even get a chance to face the powerhouse squad at the provincial tournament where it would be attempting to win a third straight top-tiered B.C. senior girls Quad-A title. And truth be told, Hettinga, the head coach of the underdog Kelowna Owls, didn’t find anything. Instead, all he came up with were confirmations as to just how complete the Bulldogs really were. The Owls pulled out all the stops they could think of, including key player shifts both defensively and offensively to try and keep the talented Bulldogs at bey, and discovered success in a hard-fought, tight 3-0 (25-21, 25-22, 25-23) title-match sweep. A truer statement couldn’t be spoken. The Owls, who didn’t finish in the top 10 at last season’s provincial tourney, and hadn’t won it all since 2011, were ranked as high as third and as low as eighth this season, finishing at No. 5 when the final rankings were issued in early November. Yet it was right around that time that Hettinga decided to sell out completely towards devising a game plan he thought might give his team a chance to win should fortune allow them to be the team to face the Bulldogs when it mattered most in December. The Owls, along with the rest of the provincial elite, migrated to Port Coquitlam’s Riverside Secondary in early November for the annual blue-chip extravaganza known as Red Serge. Now, you wouldn’t want to call any of this a covert operation, yet in lieu of a better word, that’s kind of what it was. “Everyone was there scouting each other but I didn’t want Belmont to see what we were doing,” said Hettinga who added that his team spent the past three weeks before provincials preparing for Belmont, figuring since they were the gold standard, that it would be time well-spent whomever they faced. Knowing the strength of Belmont’s right side attack, the Owls moved middle blocker Madelyn Hettinga to the corresponding left side, hoping the defensive-minded substitution of wingspan and verticality would pay dividends. As well, Kelowna made a habit of bringing in southpaw right-side Sophie LaChapelle as their designated closer. All of that, along with the play of Kelowna’s Sarah Hall, the right-side/setter who was later picked tournament MVP, was enough to seal the victory. Other members of the championship Owls team included: Karleigh Podlosky, Jenna Bain, Amelia Anderson, Hannah Greene, Sydney Hope, Thea Gremmen, Makayla Savage, Jaalah Ward, Sarah Bernacki, Jenna Holland and Hannah Pagliaro. Kelowna beat Lord Byng and Moscrop by 4-1 scores in their respective quarterfinal and semifinal matches. 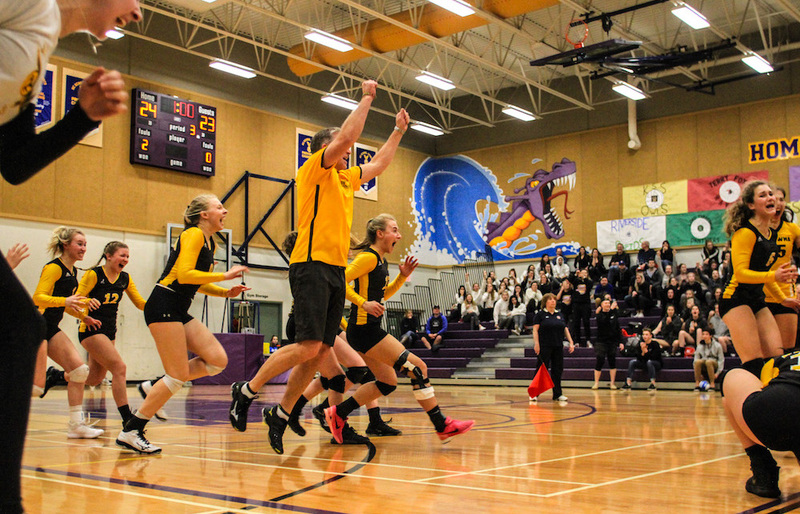 Belmont went to four sets to get by Handsworth in its quarterfinal and topped Lord Tweedsmuir 3-0 in its semifinal. Lord Tweedsmuir late beat Moscrop in the bronze-medal match. Kelowna’s gold-medal victory came on the same day that the Owls won the Subway Bowl B.C. junior varsity football title at B.C. Place. Coincidentally, the football team also beat Belmont. 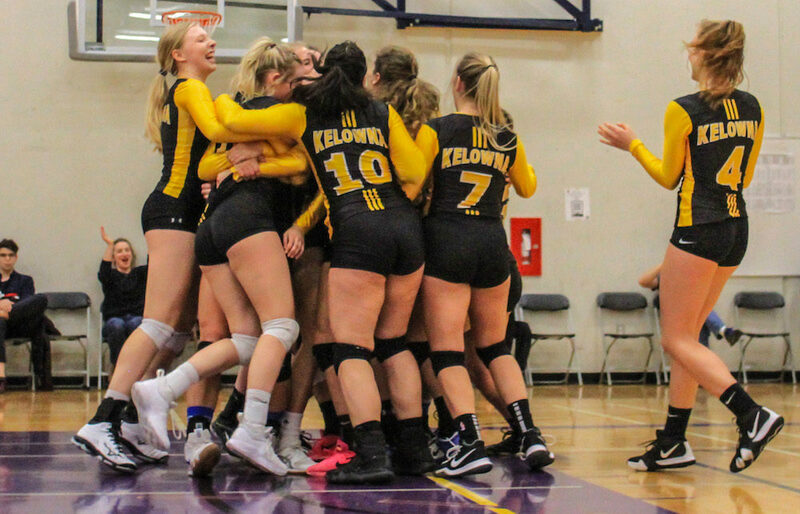 And those two victories come at a time when Kelowna Secondary is dominating the provincial high school sports scene. The Owls’ senior girls basketball team won the top-tiered B.C. senior girls Triple A title last season and are ranked No. 1 to start the 2018-19 season. The KSS senior boys basketball team won the B.C. Quad-A title in 2016 and one again open the new season ranked in the provincial Top 10. As well, the Owls field hockey team recently finished fourth at the B.C. AAA championships in Surrey.